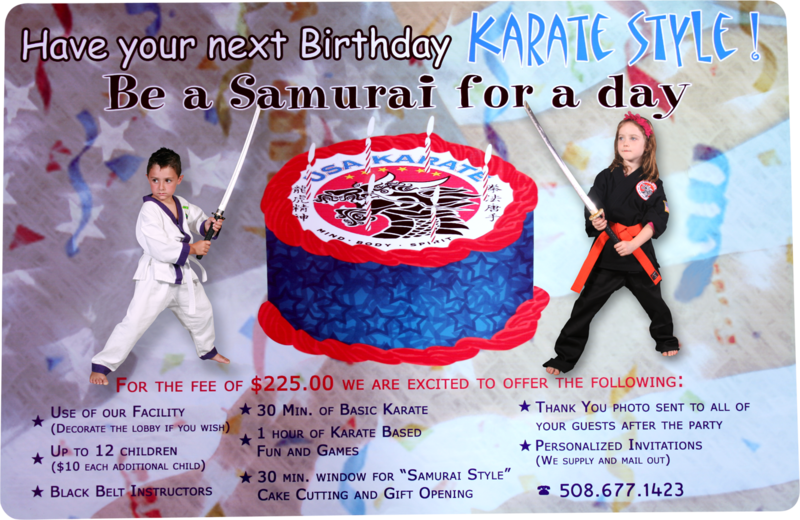 USA karate is pleased to offer our karate birthday parties for members and non-members. Your son or daughter will love being a samurai for the day teaching and learning karate basics with all their friends. Located in Somerset MA. USA Karate has been teaching karate since 1990. Our dojo is yours for 2 hours and the mess is ours to clean when your done. Our expert black belt instructors will run your party and ensure your guest have a great time. Call us at 508-677-1423 to book your party or visit us at 1618 GAR highway in Somerset MA.